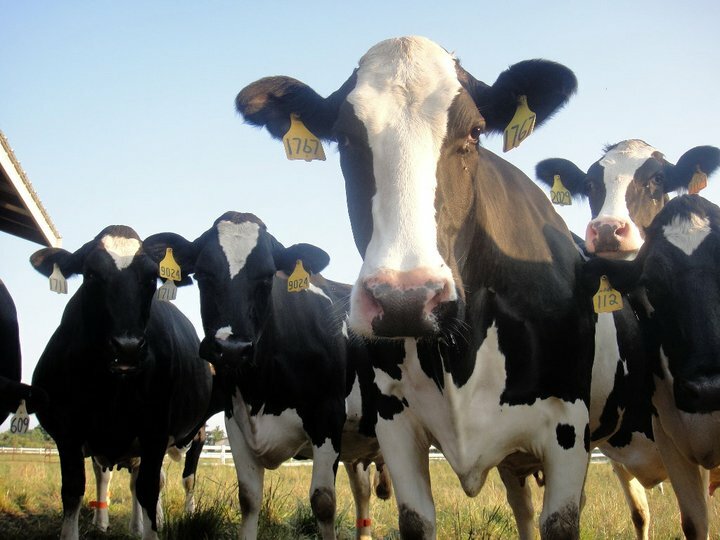 Perhaps you’ve seen the ads of blissfully happy bovine frolicking through grassy fields in California. Perhaps those cows are happy, but I would like to argue that our Michigander cows are just as content. Usually a cow spends most of her time in a barn. It’s shaded, cool in the summer, warm in the winter, and she can take naps in the sand. Perhaps a cow cavorting through a pasture (as depicted in certain advertisements) seems like a more idyllic life, but my limited experience tells me that cows prefer to live in a barn and visit the pasture. Until recently, our dry cows (a.k.a. the pregnant ladies) lived exclusively in a barn. They had sawdust to lie in, a feed bunk to snack at, and spent the days chatting with their buddies. But the Dairy Man wanted to give them more options. Many years ago, our dairy was a buffalo farm. 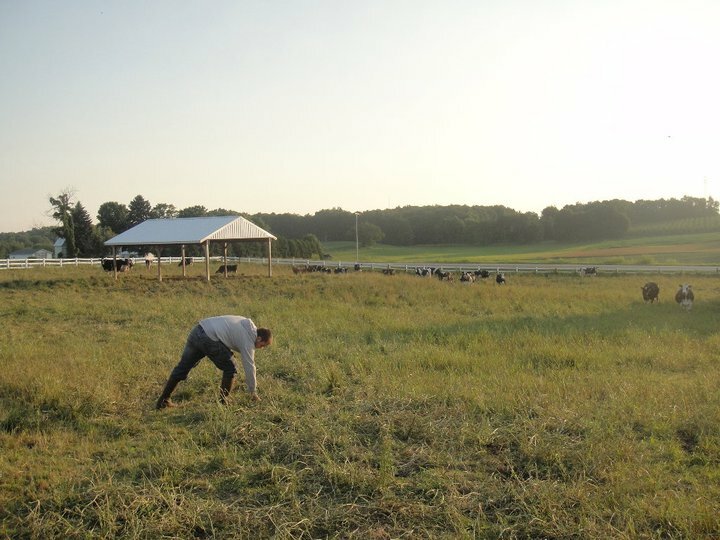 We’ve changed a lot of things to make it more suitable for dairy cows, but one thing we haven’t been fully utilizing are the pastures. The Dairy Man hemmed and hawed over what to do with these grassy expanses. Buy goats? Rent them out for track and field competitions? Nay. It was time to let the cows play. Now our dry cows can decide if they want to be in the barn or graze in the pasture. It’s not unusual for me to look out the dining room window and see 100+ cows hanging out across the driveway. Based on my observations, they enjoy mooing at cars, competing in foot races, and eating, eating, eating. 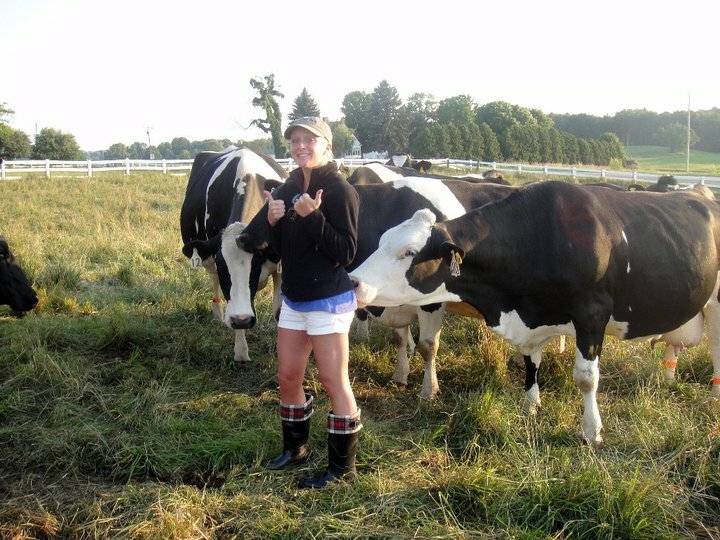 One evening the Dairy Man took me into the pasture to get up close and personal with the preggos. Usually cows shy away from strangers—as proven by my many fruitless attempts to pet them—but these girls were startlingly friendly. As someone who is adjusting to my first dog, getting up close and personal with animals is still a new phenomenon for me. Sometimes I can’t believe that I share my homestead with 300+ cows, 3 cats, countless pigeons, and 1 dog. I feel like Laura Ingles Wilder. Or Snow White. Let’s just say that white shorts were a poor choice for our evening jaunt to the pasture. 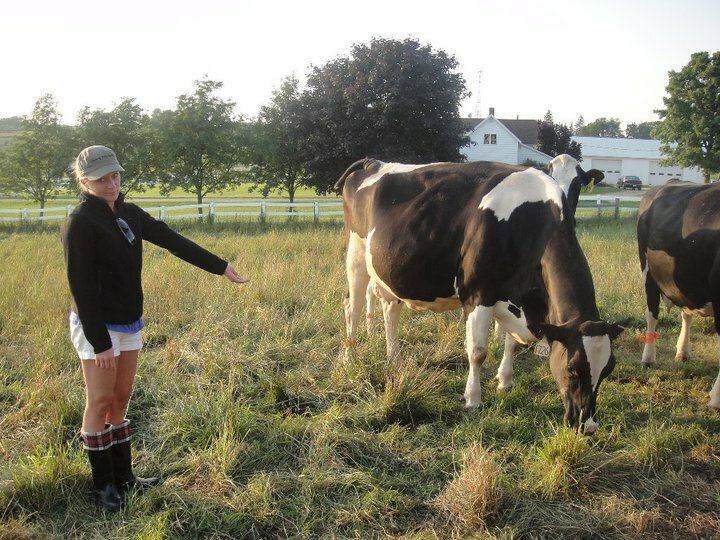 Yes, that cow is licking my posterior. They are sneaky buggers. I tried to explain the type of friendship where friends don’t have to lick one another other, but I don’t think I got through to them. It was, however, a lovely pow-wow (cow-wow?). 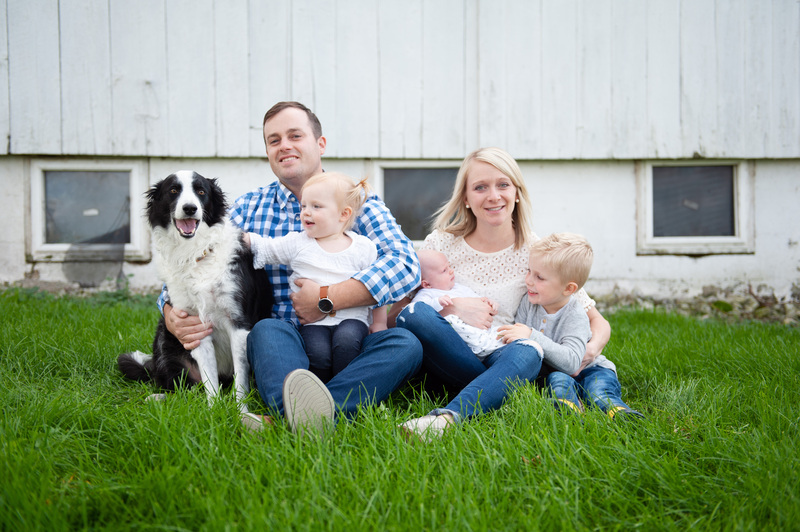 When all was said and done, I felt brave, accomplished, and more like a dairy wife than ever. Going into the pasture was, without a doubt, the closest I have ever been to cows. And I didn’t hate it. Cows aren’t so bad, as long as you’re wearing boots. Previous Post A family of three. Next Post Losing my Shadow. You have come a long way and I am proud of you in the adjustments you are making to being that “farm wife”. And a great writer besides! I LOVE this post! Even as a dairy farmer and soon to be a dairy farmer’s wife, you had me laughing the whole time. Congrats on you bonding session and I can’t wait to see how your journey on the farm continues.